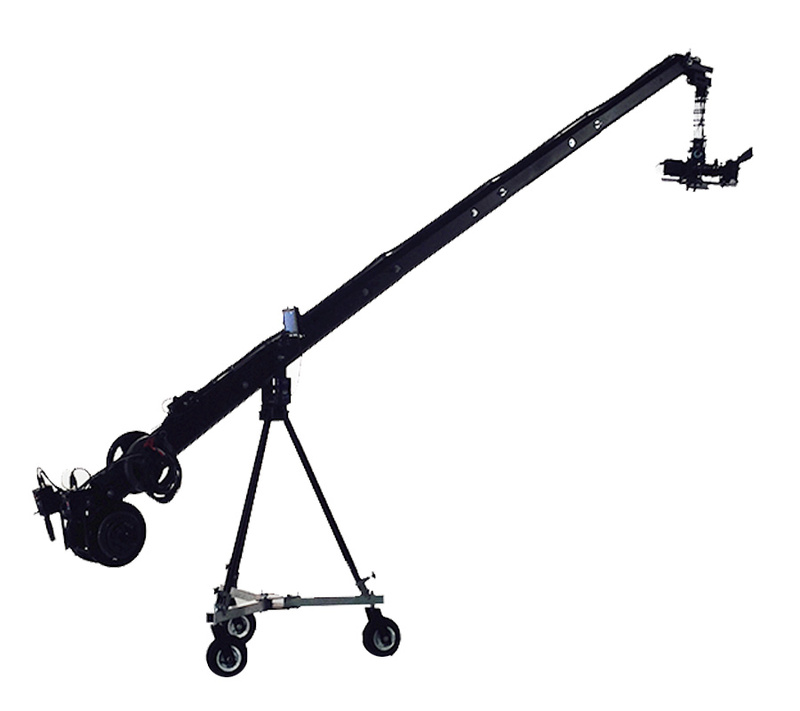 The JonyJib Pro is expandable from 9’ (2 sections) to 30’ (9 sections) in 3’ increments. (These are height measurements. For reach subtract 5′ from height.) Each extension tube is 4’ long giving a 1’ overlap between sections. Since each section slides out, pulled from the previous sections, you may store unused sections in the tail as ballast weight. This lightens your counterweight demand. You can buy as few, or as many, sections as you need. Then purchase more sections when you need them. The pivot point is pre-drilled to mount an optional Anton Bauer Gold Mount plate kit that can feed an optional 12 volt power distribution box at the tail. 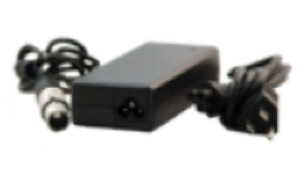 The distribution box can feed 12 volts power to the motorized pan & tilt head, zoom & focus controls, the monitor and the camera. The pivot point is also pre-drilled to mount the included LCD monitor mounting bracket or an ‘optional’ monitor platform for 5-9” CRT monitors. 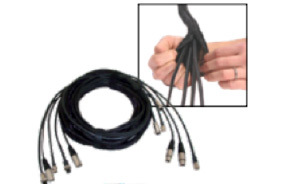 The adjustable camera platform leveling cable is also anchored at the pivot point. The camera platform is designed to over-sling or under-sling an optional motorized pan & tilt head without any changes. Just attach it ‘either way’ and there’s 360 degree pan & tilt clearance. The main arm and extension sections are fabricated aluminum extrusions while the pivot point, camera platform and rear control center are steel. All are powder coated with a durable cobalt black finish. The JonyJib Pro mounts to a Mitchell mount style tripod via this 150mm Mitchell mounting hub. A 2.75″ nut holds the hub in place on the Mitchell mount. 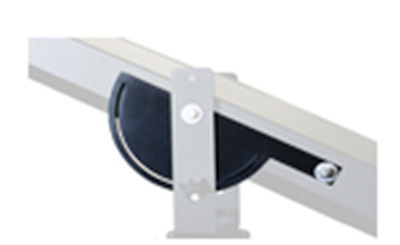 The weight of the jib’s pivot bracket attaches to an aluminum disc that glides on an oil impregnated bearing. This gives the JonyJib perfect drag for smooth arcing moves. The friction knob allows you to brake the jib or apply additional drag as needed. 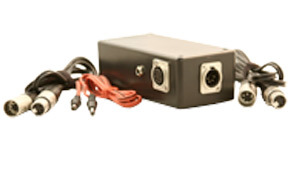 This unit provides a horizontal bar to mount your controls upon. 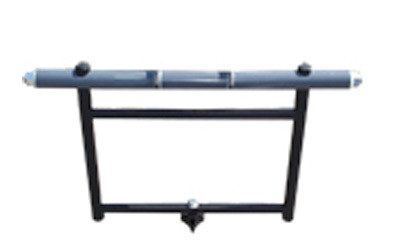 It also provides a horizontal primary weight bar for your counterweights. We recommend a combination of 25, 10, 5, and 2.5 pound cast iron plate weights with at least a 1″ mounting hole. This assembly swivels further absorbing unwanted vibration or movement from the operator. The JonyJib Pro comes with convenience items to make setup and tear down quicker. We include a bubble level, hex screwdriver and a spacer kit. This pack also includes an owner’s manual and a DVD featuring safety tips, setup instructions and basic moves primer. 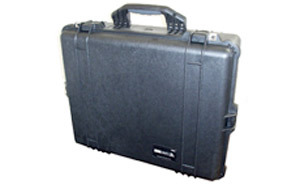 This unit provides an additional horizontal bar for addittional counterweights. It mounts slightly forward of the Primary Weight Bar. We recommend a combination of 25, 10, 5, and 2.5 pound cast iron plate weights with at least a 1″ mounting hole.